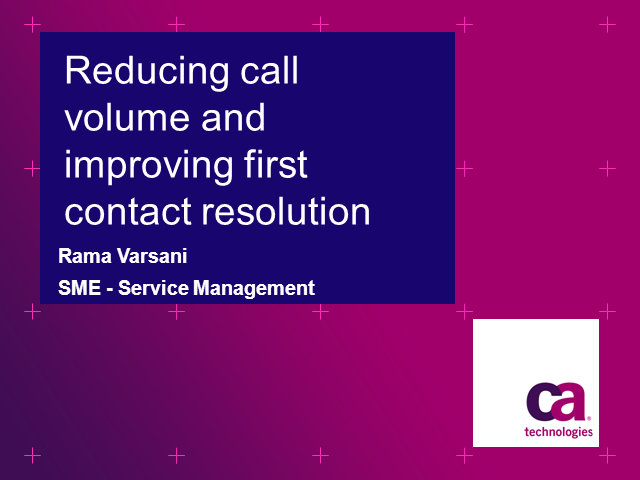 Reducing call volume and improving first contact resolution rate are important for customer satisfaction. Every organization should make a serious effort to address this in their Service Desk. In this webinar Rama Varsani will share how you could successfully improve internal IT achieving these goals by focusing on self service adoption, knowledge management, and improving Problem Management.